Matt Damon is finally back to the 'Bourne' franchise to much delight of moviegoers. No offense to Jeremy Renner, you did a fine job but 'Legacy' unfortunately doesn't come near any of the original trilogy. Returning to the franchise after 9 years, would Damon be able to deliver another great action movie to the Bourne franchise? It's been a decade since Jason Bourne (Matt Damon) walked away from the secret agency that turned him into a deadly weapon. 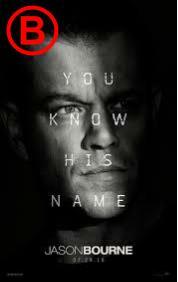 The CIA look to draw Bourne out of the shadows and they assign hacker Heather Lee (Alicia Vikander) to try and find him. Former associate Nicky Parsons (Julia Stiles) looks to reunite with Bourne as well. 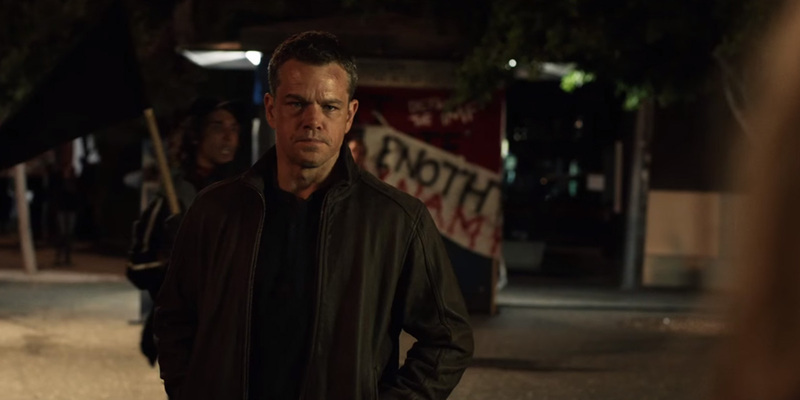 Bourne soon finds himself back in the mix as he faces off against the network that will do anything to gain power. Unfortunately for us fans, Jason Bourne is the worst of the Matt Damon quadrilogy of Bourne films. Maybe its just been too long and with 'Legacy', the franchise definitely seems to have lost some of its feeling. The story within this instalment is probably the main culprit for this film disappointing. 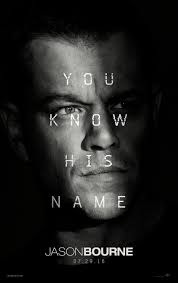 It has the normal themes of a Bourne story but just isn't nearly as interesting as the others and doesn't really grip and draw you into the story. The pacing also is a problem with this as the film does become very slow at points and with nothing particularly exciting happening, you do become a little bored. Matt Damon most definitely brings it again as Jason Bourne showing once again how well he can handle action. He was sorely missed in 'Legacy' and it is a real highlight to see him back as the character whom he made famous. The recently Oscar nominated Damon does a fantastic job once again in a role that is second nature to him by now. Like in the previous films, he handles the brutal action very well, even handing out a couple of one hit KO's on the way. The rest of the cast is very strong with recent Academy Award winner Alicia Vikander joining the franchise as well as Tommy Lee Jones and Vincent Cassel. Vikander shows her abilities despite some poor dialogue at times but she really does a great job with what she is given. I'm a huge fan of hers and really enjoyed her performance as Heather Lee who kept me guessing throughout the movie. 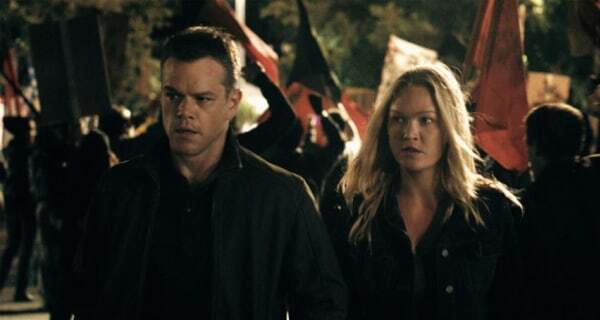 Julia Stiles also returns once again as an ally to Jason Bourne and also produces a strong performance. Vincent Cassel played an interesting role as a deadly assassin who was threatening despite having little dialogue throughout the film. The action for me in this film is very mixed. I'm really not a big fan of action scenes that involve the use of shaky cam and unfortunately that is apparent in this franchise once again. It's not good visually and is a real eye sore which spoils some of the action that does involve some great fight scenes. Despite that, there are some set pieces that are really great and if you have seen the trailer, you will know of the carnage caused in Las Vegas. Some of the action scenes including the large chase in the finale really save the film and elevate the status of the movie as it really gives you what you want and much more. If you can get past the shaky cam, you will thoroughly enjoy all of the action in this movie to great extent. Overall, Jason Bourne is a good movie. It's not great and it maybe suffers because of the quality of Damon's previous ventures in the franchise. The story could've been more interesting but it isn't enough for you to completely lose interest. If it seems to be going in that direction, you can be sure that the action will liven the film up and create some great movies. Not living up to the original trilogy but Jason Bourne is still a credible instalment to the franchise. So have you seen 'Jason Bourne'? If so what did you think of the movie? I hope that this review was useful for if you were planning on seeing the movie and I hope you enjoy it if you choose to see it. Once again, thank you for taking the time to read my review, it is much appreciated!